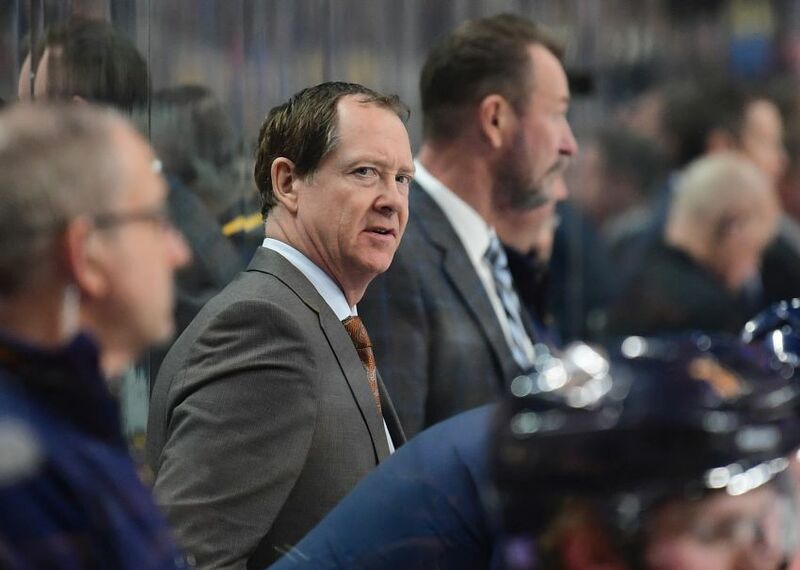 BUFFALO – During the Sabres’ eight-day break, coach Phil Housley traveled home to Minnesota, where he visited his family and watched his son, Wilson, a rookie junior coach. In the midst of a grueling 82-game season, getting away from the rink – the bye week went right into the NHL All-Star break – provided the Sabres “a great time to get a break, to reboot,” Housley said. So Housley went up to Thief River Falls, about a five-hour drive from St. Paul, to watch Wilson’s team, the Norskies, who rank third in the six-team Superior International Junior Hockey League. Housley and the Sabres, who are four points out of the Eastern Conference’s second wild card spot, seemed recharged today when they reconvened for practice inside HarborCenter. “I was very surprised at the execution for the amount of time (we had off), the passing,” Housley said. Check back later for a full story. The Sabres’ two NHL All-Stars – captain Jack Eichel and winger Jeff Skinner – did not practice but were at the rink. Meanwhile, defenseman Casey Nelson, out since suffering an upper-body injury Dec. 4, practiced. With Eichel and Skinner absent, Nelson skated at forward beside Sam Reinhart and Remi Elie. The Sabres play Tuesday in Columbus.